In the island chain called the Lesser Antilles, stretching from the Virgin Islands south to Trinidad and Tobago, a team of researchers lead by Theodore Schurr, an anthropology professor in the University of Pennsylvania’s School of Arts & Sciences, is solving a generations-old mystery: Do indigenous communities still exist in the Caribbean region today? Schurr and his team, which includes Jill Gaieski of Penn’s Perelman Center for Advanced Medicine, Miguel Vilar, a Penn postdoc at the time of the research and now at the National Geographic Society, and Jada Benn Torres from Notre Dame University, focused their research on DNA samples from 88 participants in the First Peoples Community in Trinidad and the Garifuna people in St. Vincent. By looking at mitochondrial DNA, Y-chromosomes and autosomal markers, three parts of the genome known for containing what Schurr described as “signals” of indigenous ancestry, the researchers eventually detected 42 percent indigenous ancestry from the maternal side, 28 percent from the paternal side. Mitochondrial DNA comes from the mother only, regardless of the number of generations considered. The Y-chromosome is the paternal correlate, or the complement to mitochondrial DNA, passed from fathers to sons. Autosomes, only recently included in this area of research, do not reveal specific details about maternal and paternal lineage but give an overall picture of the genetic contributions from ancestors traced through both the mother’s and father’s sides of the family. The work began as part of the Genographic Project, which was started and initially funded by the National Geographic Society. It is a multi-institutional endeavor with the goal of mapping the globe genetically. A dozen research labs around the world analyzed DNA samples from indigenous and traditional communities, and a public participation component of the project allowed anyone to submit DNA for analysis in the database. Schurr’s contribution involved indigenous communities of the Americas. 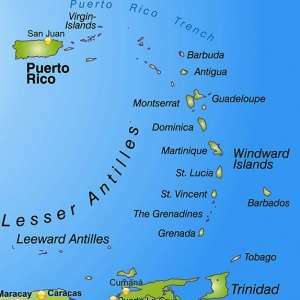 Expanding into parts of the Caribbean made sense. “It was an opportunity to actually add new information about an area that is relatively well described archaeologically but not so much so genetically,” he said. Schurr has already completed a similar study in Puerto Rico and recently began a larger project in the Dominican Republic. Immersion in these communities has been eye opening, he said.